PHOTO: Front view of A-ROSA's Stella. 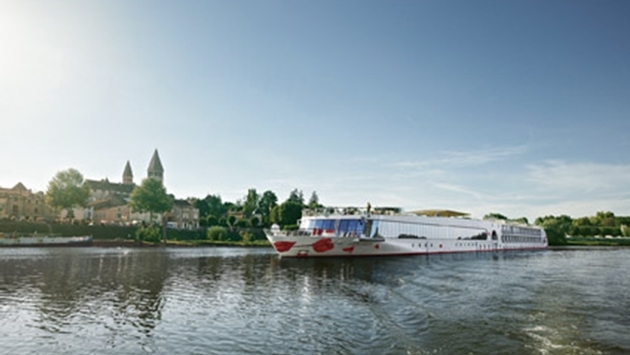 A-ROSA Cruises, in conjunction with David Morris International, released their 2015 brochure now with over 200 departures sailing exclusively on the rivers of Europe. These include the Rhone/Saone, Rhine, Danube, Moselle and Main Rivers. 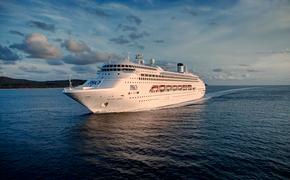 Also included again in 2015 are pre-paid gratuities, port taxes and fees, plus complimentary Wi-Fi. Fares have also been reduced on many 2015 sailings. In addition, guests can save $1,000 per couple with their Early Booking Incentives when a 2015 reservation is made by Dec. 31, 2014. Singles always save more on A-ROSA as every sailing has waived single supplements in at least one category, while other categories start at just an additional 10 percent. Those traveling to Europe with children will receive unparalleled savings, offering up to free sailing for up to three children ages 2-15, accompanied by at least one adult. A-ROSA reservation services are provided by Auto Europe with over 10,000 car rental locations in over 135 countries. In addition, through their tour division, Destination Europe, they offer scheduled airfare to Europe with over thirty carriers plus thousands of 3- 4- & 5-star hotels worldwide. This allows A-ROSA a true “one stop shop” for travelers making plans to visit Europe. For additional information, detailed itineraries, plus pre and post sailing savings on car rental services, chauffeur meet and greet at the pier and hotel services, contact reservations at 1-855-552-7672. Or visit www.arosacruises.com.